From reading the first two parts in this series, you should have an idea of what OCD and hoarding are. Hopefully you were also able to gain an understanding of how the two health issues are different. In this final part of the series, you will find out how OCD and hoarding are treated. In the previous part of this series, we went over what OCD and hoarding are. From reading Part 1, you should have a good idea of what both illnesses look like and who is affected by them. In this second part of the series, we will discuss a study which examines how OCD and hoarding differ. Since the show Hoarders appeared on the air, people have become more aware of the mental illness that causes someone to compulsively collect items and refuse to get rid of them. But does everyone who hoards have OCD? Read this article to find out what researchers have discovered about OCD and hoarding. 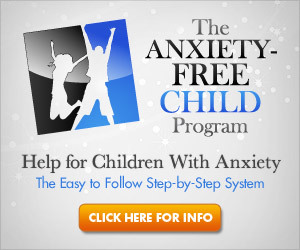 Anxiety is usually thought of as an adult problem, but it can affect children as well. It can be difficult trying to help a child cope with anxiety. What should you say? How can you make the child feel safe? If you'd like to know more about what to do for an anxious child, read this article. In a desperate or stressful situation, most people feel a higher amount of anxiety than usual. When this happens, what do you tend to do? Ask for advice from those around, you, of course! But is this always a good idea? Read more about it here. Facebook and other social media sites are making headlines lately for possibly causing anxiety and depression in children and in teens. Is social networking really putting kids at a higher risk for mental health issues? We can't say for sure yet, but there are certain things your kids need to know before they use the Internet. Read what you can do to help your kids use the Web responsibly. Dealing with a mental health issue is exhausting and often time-consuming. Can you imagine having the additional responsibility and stress of trying to help your child through such an illness? For one woman with depression and bipolar disorder, her child's troubles with Obsessive-Compulsive Disorder (OCD) came an unpleasant surprise. Read about how she handles her daughter's condition. What if we could recognize obsessive-compulsive disorder in someone who was just a baby? A new study from Bucknell University may make that a possibility sooner than you think! The new information gained from the study may even help with preventive measures. Read more about the research findings and what they could mean for your child.